What happens when the world’s richest country invests billions of dollars to get top western universities to teach on its territory? That ambitious experiment is playing out in the small Persian Gulf country of Qatar. Two decades ago, the emirate decided to jump start its provision of higher education by inviting world-class universities to open branches there. 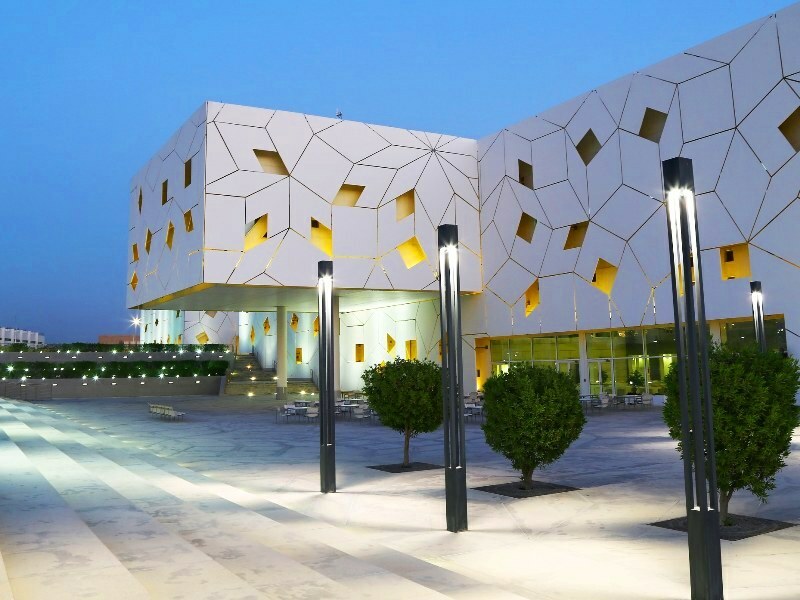 The result is Education City, a large campus on the outskirts of the capital, Doha, housing branches of six American universities, as well as one British and one French institution. Qatar’s oil and natural gas exports have given its citizens the highest per capita income in the world—$140,000 USD according to one calculation. A foundation established by the country’s royal family uses the nation’s wealth to pay all the bills for the branch campuses while, in principle, guaranteeing them academic freedom. In exchange, the foreign universities pledge to provide educational programs at their branches that are “equal in quality” to those in their home countries. The Qatar Foundation for Education, Science and Community Development is headed by Sheikha Moza bint Nasser, the mother of Qatar’s current ruler. When Qatar first proposed the idea about a dozen years ago to Georgetown University, a prestigious Jesuit Catholic institution in Washington, DC, “there was a lot of doubt,” says Gerd Nonneman, now dean of the institution’s branch in Doha, Georgetown’s only overseas campus. “There was no financial risk,” he says, but a “brand risk.” Georgetown was putting its reputation on the line. Would the branch attract Qatari and other students as capable as those at the main campus? Would qualified faculty be willing to move there, and would they be free to pursue their research and teaching without interference—in an absolute conservative monarchy where political parties are banned and criticism of the country’s leader is forbidden? These same questions were being asked by the other western institutions invited to set up branches at Education City. Nearly two decades after the first branch opened, those involved with the project argue that it has lived up to its promises. 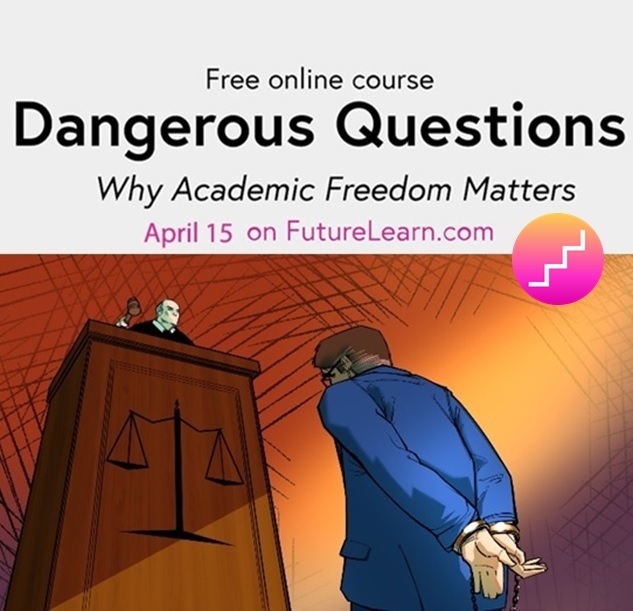 Yet questions remain about the long-term sustainability of the expensive enterprise and its impact on Qatar’s national higher education system. Georgetown opened its School of Foreign Service in Qatar in 2005. By the time Nonneman became dean, in 2011, he says the research output of faculty members and the rate at which graduates were being accepted into leading graduate programs was equivalent to that at the main campus in Washington. Perhaps just as importantly, in a region where governments are frequently criticized for putting dissidents in prison and other human-rights violations, Georgetown’s branch has been able to push the limits of academic freedom. For example, research published by faculty members several years ago into the harsh conditions for foreign construction workers helped spark condemnations by human-rights organizations that led to government reforms. And the branch has hosted public forums on controversial topics like sectarian conflicts in the region and the fraught relations between the Gulf monarchies and Iran. Invited speakers have included scholars from Israel and Iran. “The Qatar Foundation has shielded us from the kind of pressure you might expect in the region,” says Nonneman. Occasionally the branch will find that a book it wants has been banned by the Qatari authorities, he adds. “But if we feel students need it, there is always a work-around,” whether that means bringing in the book in physical or electronic form. Qatar adopted a policy of lavish spending on Education City in an effort to ensure its success. Faculty members recruited from outside the Middle East typically receive an annual salary premium of up to 30 percent above salaries at the home campus, according to documents released under the U.S. Freedom of Information Act. Facilities are new and spacious, and class sizes are often half of what they are at home campuses. 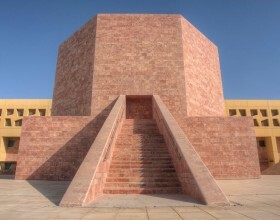 (See related article: Qatar’s Private Universities Are the Most Expensive in the Region). “Colleagues who visit from the U.S. are often envious—we’re not in cramped little offices,” says Zahra Babar, a faculty member at Georgetown’s branch. Nicole Gonzalez De Abreu, a senior in chemical engineering at Texas A&M University, spent the fall semester last year at the institution’s branch in Qatar after being offered a full scholarship to do so. She says she found the academic level there the same as at the main campus. “The only difference was that since the classes are much smaller, the professor really works with you. The only negative was the weather,” she adds—humid and up to 115 degrees Fahrenheit—46 degrees Celcius—when she arrived in August. Outsiders often remark that while they are generally treated in a friendly manner on and off campus, it takes some effort to adapt to the conservative local culture. Rather than finding one American university to open various schools, Qatar adopted a model in which different U.S. institutions would each provide one specialty in which it had a particular strength. In addition to Georgetown, there is (with the year the branch opened): Virginia Commonwealth University (fine arts, 1998), Weill Cornell Medical College (medicine, 2002), Texas A&M University (engineering, 2003), Carnegie Mellon University (business administration, computer science, 2004), and Northwestern University (journalism, 2008). Together, they enrolled about 2,000 students in the just-completed academic year. Instruction is in English, and graduates receive a degree issued by the home institution in the United States. 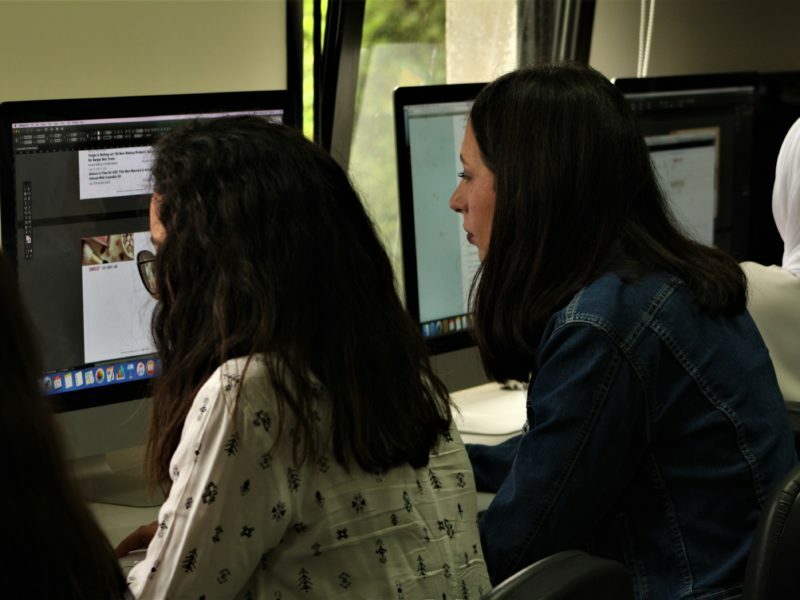 In 2011, two more foreign branches opened: HEC Paris, a leading French business school offering executive education; and University College London, a British institution that offers programs in cultural heritage. 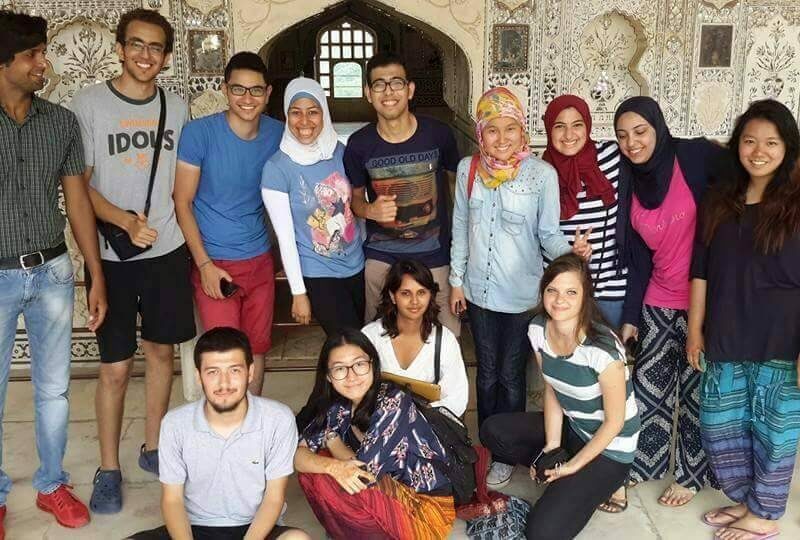 Students come from a variety of countries. 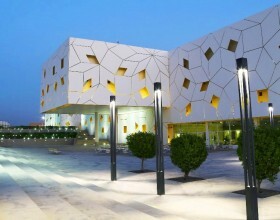 But Education City is focused chiefly on educating Qatar’s own citizens, unlike the higher-education hubs in neighboring United Arab Emirates and other countries that are often financially dependent on recruiting regionally or even globally. Although Qatar has a population of 2.3 million, a large majority are foreigners brought in to fill a variety of jobs in the booming economy. Only Qatar’s 280,000 citizens benefit from priority admissions into the Education City branches. 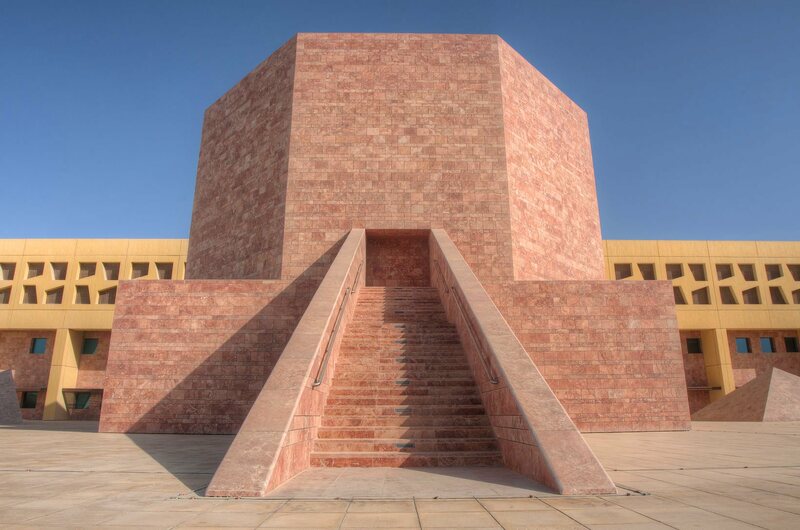 According to a 2014 contract between the Qatar Foundation and Texas A&M, the institution’s branch has a “goal” of having Qatari nationals account for “at least 70 percent” of undergraduate students. The contract was published by The Washington Post after Texas state officials agreed to the newspaper’s request to release the document. According to the contracts The Washington Post was able to obtain from the two public universities present in Education City, Texas A&M and Virginia Commonwealth, the Qatar Foundation plays a strong role in overseeing the branches. For example, the universities agree not to establish similar programs elsewhere in the Middle East, and to consult the foundation about—and give it a strong say over—the choice of each branch’s dean and vice deans. TAMUQ Main Lecture Hall at Texas A&M Uni. in Education City. Doha, Qatar. By: Alexey Sergeev. For its part, the venture presents risks for Qatar. One is the high cost of Education City—an issue made more pressing by the sharp fall in the price of oil during the last two years. The foundation is thought to have spent several billion dollars to establish the higher education hub. And each year, according to the documents released to The Washington Post, the foundation spends more than $400 million to fund the operations of the six institutions with a presence in Doha. Neighboring Saudi Arabia has followed a different strategy, keeping more than 100,000 students on full scholarship at foreign universities, mostly in the United States. However the drop in oil prices has caused the kingdom to sharply curtail its scholarship program. Another issue for the Gulf countries is the liberalizing social impact such ventures may have on their very conservative societies. The American institutions provide the same western-style education at their Education City branches as at their home campuses. Classes are co-educational, for instance, and students are expected to have strong opinions and to voice them. 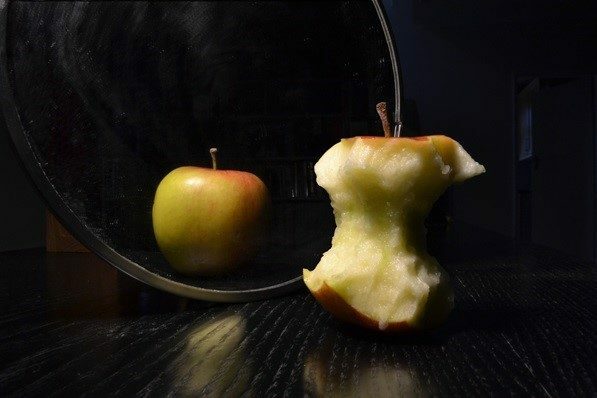 Some former journalism students have complained that they cannot really practice the craft that they learned at Northwestern, given local limitations on freedom of the press. At least one student and one graduate have wound up in jail. 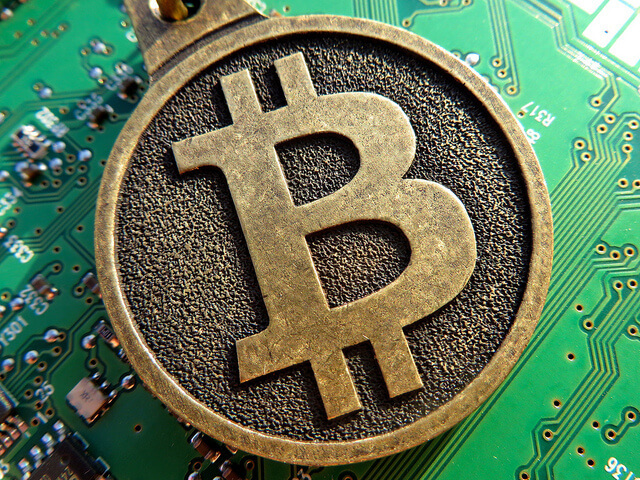 They are reluctant to comment publicly about their experience. According to Doha News, a cybercrime law in Qatar passed in 2014 states that journalists cannot “violate any social values or principles, or publish news, pictures, audio or video recordings related to the personal or family life of individuals—even if it is true.” The law does not specify what “violating social values or principles” means. But the penalties for violations are stiff: up to a year in prison or a maximum fine of 100,000 Qatari riyals (more than $27,000). 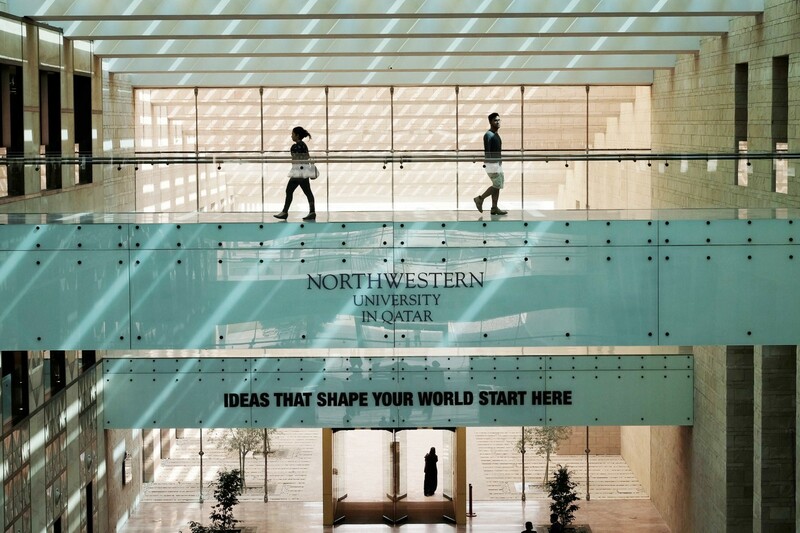 Everette E. Dennis, the dean of Northwestern University’s Qatar campus, says the university has briefed faculty members and students about the new law. He believes nonetheless that media coverage within the country has become clearer and more straightforward in recent years, and that stories long ignored are now being covered. The situation is “not perfect, far from it, but improving,” he said, in an interview conducted in 2015. Finally, there have been complaints in the region that the money and attention showered on Education City and similar hubs in other countries are undermining national higher education systems. Indeed, officials often “bring in the foreign institutions without adequate attention to how to stimulate the quality of local institutions,” says Francisco Marmolejo, a senior higher education expert with the World Bank. Well-thought-out government policies are needed to provide adequate funding and performance incentives for national higher education systems, which serve less elite student populations, he says. Also needed, he says, is a greater integration of local and foreign institutions, with such measures as courses open to students from both sides, and joint professorships. A balanced policy approach, says Marmolejo, will support the development of both local and foreign institutions while encouraging cross-fertilization between the two sides.